Forget breakfast — the most important meal of the day is one you can Instagram. We’re not above eating at particularly photogenic restaurants in the service of our photo grids. Maybe you have a similar philosophy. If so, the most-Instagrammed restaurants of 2017 will surely inspire your eating adventures for the holiday season and beyond. If you eat a meal but don’t snap a photo, does it even count? We think not. Instagram is the perfect place to share images of your most memorable meals. These 20 restaurants were the most popular on the app in 2017, but that doesn’t mean it’s too late to pay them a visit. Consider this your 2018 eating bucket list. Before we get to the food, let’s start at the top. This NYC rooftop bar is a hot spot for ‘grams, and it’s no wonder — check out that view! Permission to drool uncontrollably, granted. If you’re a fish-lover, we suggest you book a flight to Los Angeles immediately. Sushi appears to be a really popular choice for #foodstagrams. Maybe because it’s so freaking pretty? We mean…look at this place! That decor! That view! According to their Instagram bio, San Pedro Fish Market is known for their shrimp trays. While we haven’t tasted one for ourselves, we can confirm that they look delicious. Mr.Purple is another rooftop spot with spectacular view of the city (in this case, NYC). While there are Hard Rock Cafes all over the place, we’re not surprised that the NYC location stands out as the most ‘grammable. Stubbs is a barbecue place and a live music venue. Is this not the best of both worlds or what? Look at that dreamy ceiling! We wouldn’t blame people for heading here simply because of the elegant decor. 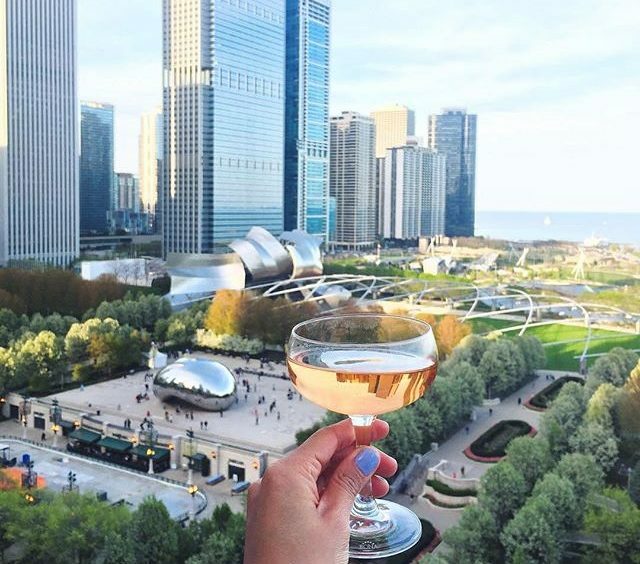 ICYMI, it seems like live music and rooftop views are surefire ways for restaurants to attract the Instagram set. The TAO franchise continues to please camera-happy crowds in different cities. So the Orlando branch of the HRC chain wasn’t photographed as much as the New York City branch, but it’s still a popular restaurant to post about. Having been here ourselves, we can confirm that the decor at Beauty & Essex is this stunning. The people can’t get enough of Disney, it seems. Because any place with “oasis” in its name is bound to be photogenic. Where there’s fish, there’s an iPhone camera waiting to capture it before it gets eaten. LAVO is an Italian restaurant-meets-nightclub, so you can get your dance on and eat some delicious food too.